It’s that time of year and your kids are asking for some of the strangest or hardest to find costumes around. Fortunately for you, Halloween Express exists. They are known to offer the largest selection of Halloween merchandise…. anywhere. Browsing the site I found everything from the standard princess, super heroes, fairies and clowns to food & beverage costumes, maternity, tv & movies and zombies. That is just the short list! Ethan is usually very easy to please I can usually talk him into just about anything. This year I asked him to be Mickey Mouse (I had visions of Emma & Ethan being Minnie & Mickey)… he said no. He had his heart set on being one of the Avengers. 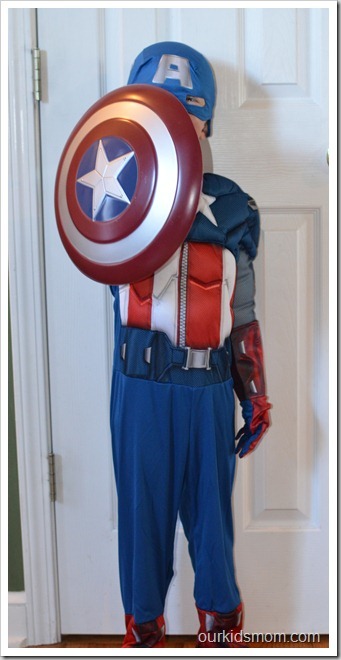 When I found this Captain America costume he instantly said “YES!”. He was literally jumping up and down when he saw me pull it from the box. 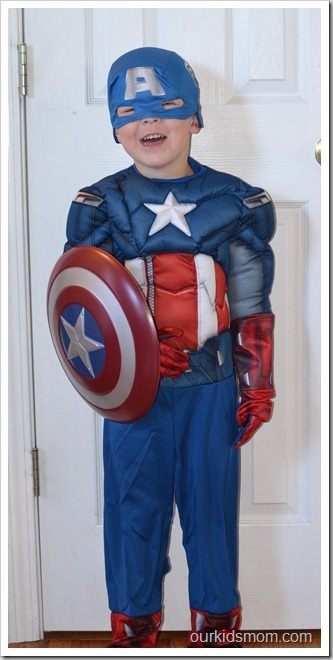 As you can see… he makes an amazing Captain America… even with the hood off (he’s a clean cut blondie). Another love of Ethan’s right now is fire trucks and Fire Fighters. I decided to grab this Fire Fighter costume (modeled by his adorable sister Emma) as a Christmas gift. Even boys like to play dress up and this is one of the best Fire Fighters costumes I’ve seen in a while. Emma agreed that Ethan is going to be over the moon when he opens it! Halloween Express can outfit your entire family in costumes. Be sure you have a while, you will lose track of time while browsing… there is that much! Rules:You do not have to be a blogger to enter/win. An email address is required to enter. The winner will be chosen randomly through Rafflecopter and contacted via email. A reply to the winning email is required within 48 hours before a new winner is chosen. One person entering per household please. This giveaway ends at 11:59 PM EST on October 19, 2012. I’d get something Harry Potter! I like the women’s cupcake costume. I love the Queen of Hearts women’s costume. I entered the giveaways for Singalongz, Awesome Adventures DVD, V-Tech, the Jogging stroller and Mod Straps. I want the Grim Reaper Costume for my son. I like the Tinkerbell costume. I love the couples peanut butter and jelly costumes! I like the Sally costume! I like the child Dorothy costume. They have so many toddler costumes! I’m not finding many around here, they seem to go from infant to kids with nothing in between. So glad I found this! I like the Kid’s Witch Costume. I love the Tinker Bell costume! I want the Inflatable Witch Decoration. I want the Bat girl costume! Tron Legacy Costume is mine! I love the christmas story leg lamp costume! I love the infant owl costume! so dang cute! I like their wide selection of zombie costumes. Our whole family could be zombified. I entered the SentrySafe giveaway! I entered the Wonderful Pistachos giveaway! I entered the Green Mountain Coffee giveaway! I entered the Seagate giveaway! I did learned that there is a site with so very many costumes that I never knew about!!! This site rocks!!! I learned that I really like it! I’d like to get the Monster High Clawdeen Wolf Costume for my daughter. The owl costume is too cute!!!! I love the women’s Bride of Frankenstein costume! Thanks! My son would like a Clone Trooper costume. Our daughter needs that firefighter costume! I’d like the Hulk costume for one of my boys. My son loves the Zombie Ninja Costume. Apparently zombies and ninjas go hand in hand. I like the Pinup Sailor Costume. i like the fairy costume! I’d like to get my daughter the T Rex child costume. So many cute costumes! I love the toddler peacock costume and the lion! My kids are too old for the baby costumes, but the little animal ones are very nice and inexpensive. My son loves the Incredible Hulk costume! Love the Lil’ Monster Costume. 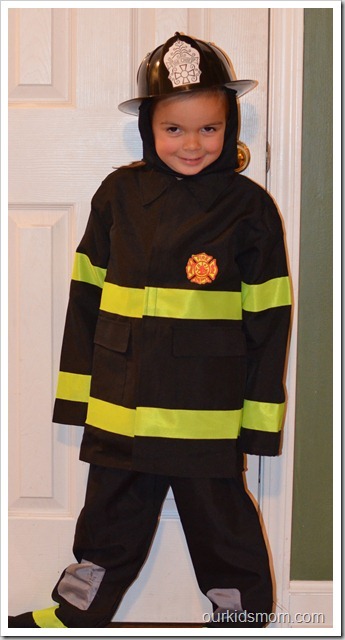 I would love to get the toddler firefighter costume for my little guy! I like the Monster High Lagoona Blue costume! I want the Lunging Zombie Reaper from the Halloween Decor section! I love the When I Grow Up section of costumes. Not sure which one I would choose there are so many great ones. Maybe a pilot or firefighter. My wife wants to be a witch. Thanks for the Giveaway and Good Luck to All ! I like the Australian Zombie Mask. Thanks. My son would love the Teenage Mutant Ninja Turtle costume! I want my daughter to be little red riding hood. Their costume is adorable! I love the Mickey Mouse costume – Thanks! Entered the Thomas Christmas giveaway – Thanks!